Or, get it for 8400 Kobo Super Points! 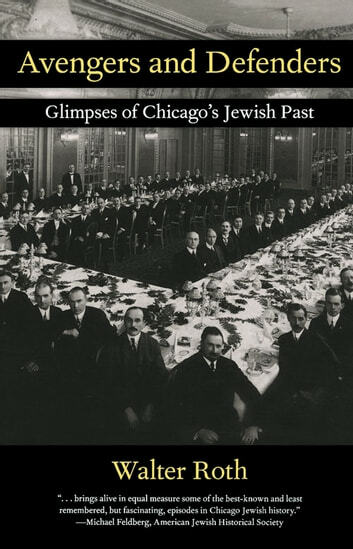 Walter Roth delves deep into the archives of Chicago’s Jewish past, and provides a new collection of illuminating essays on its various aspects. 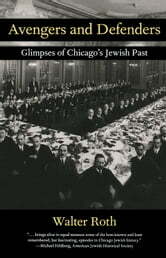 Booklist said of his previous collection, Looking Backward: True Stories from Chicago’s Jewish Past, Roth writes about the well-known and the not-so-well-known, bringing to life the peOut of Printle, events and institutions that shaped the Jewish community.” Roth is also co-author of An Accidental Anarchist, about the killing of a Jewish immigrant by Chicago’s Chief of Police in 1908. Kirkus Reviews said, The authors have skillfully removed the dust from an obscure but troubling episode.” Roth brings his consummate skill as storyteller to bear on this new collection, which makes for entertaining and informative reading. When in Doubt...Blame a Jew!